AP Photo Chicago Cubs third baseman David Bote tags out Detroit’s Mikie Mahtook during the second inning Wednesday. DETROIT — When David Bote’s two-run homer cleared the fence in the fifth inning, it felt almost like a milestone for the Chicago Cubs — the first time in six games they’d scored more than one run. 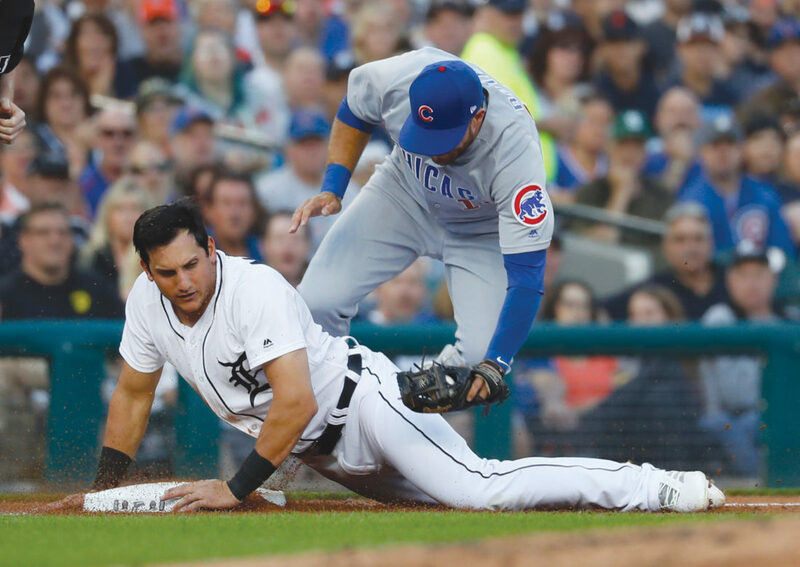 STRONG DEBUT –Murphy started at second base and hit leadoff for the Cubs. He went 2 for 5, driving in a run in the fifth and scoring on Baez’s homer. “Love the guy. I mean, baseball rat, just like us,” Bote said. TRAINER’S ROOM –Cubs: Chicago put SS Addison Russell on the 10-day disabled list, retroactive to Monday, with a sprained left middle finger.